The holidays are approaching quickly and there is a lot of great stuff to see hitting us all at once. I’ll cover the events of the next two weeks here since next Thursday is a holiday. Saturday is going to be a busy night for music. For me the highlights are Low Cut Connie and Ty Segall. 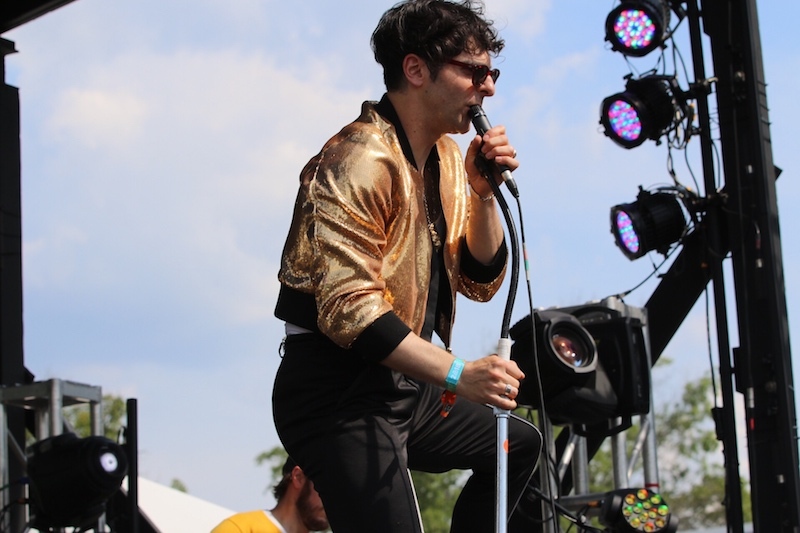 The Philadelphia based Low Cut Connie are a riotous piano based rock band in the style of classic rockers like Jerry Lee Lewis with a nice contemporary indie edge. Frontman Adam Weiner is in constant frenetic motion – from dancing on top of his piano (her name is Shondra) to sliding under the bench and back again. I love everything about this band, the vibe is fantastic and the music keeps you moving. Weiner is as engrossing an entertainer as one could hope. In Gasa’s close space these tunes will positively wail. Check out “All These Kids Are Way Too High” below. If you’re feeling a bit more adventurous, Ty Segall returns to One Eyed Jacks Saturday. Segall’s shows at Jacks are always exciting and unique. This time he is playing a solo acoustic show with Emmett Kelly of The Cairo Gang opening the night. In October Segall released a fascinating album of covers of everyone from Funkadelic to Neil Young and beyond. He has so much material to work with that this show could really go in any direction. Segall remain an amazing and vital force on the scene. Check out his cover of John Lennon’s “Isolation” below. Starting the day after Thanksgiving you can catch three nights of Nine Inch Nails at the Saenger. For the first two nights Trent Reznor and company will be joined by The Jesus and Mary Chain. This is a ridiculously perfect pairing. Both of these bands have pushed the edge of what music can be. This will also be a bit of a homecoming for Reznor who lived here throughout the 90s. Nine Inch Nails produce some of the most intricate and exciting theater performances around. This isn’t just a concert it’s a show. Grab tickets while you can. Below is their amazing performance from Panorama 2017. Don’t forget that PJ Morton will be returning home for a special show on the Friday after Thanksgiving at the House of Blues. Morton has a Christmas album out this is a great chance to get in the spirit. Tonight you can catch Scott Bradlee’s Postmodern Jukebox at the Joy also Sports will be at Gasa Gasa. Tomorrow the Desert Noises are at One Eyed Jacks. Saturday is a huge night for music. You can find Jimmie Dale Gilmore at Chickie Wah Wah and Lil Yachty at the Joy. On Saturday you can also see Low Cut Connie at Gasa and Big Head Todd and The Monsters at Tips or Ty Segall at One Eyed Jacks. Monday Iceage are at One Eyed Jacks. Tuesday Acid Dad is at Gasa. Wednesday Old Wounds are at Gasa. The Friday after Thanksgiving, Nine Inch Nails will be at the Saenger for three nights the first two with The Jesus and Mary Chain. On Friday you can also catch Tank and the Bangas with Big Freedia at One Eyed Jacks and PJ Morton will be at the House of Blues. Saturday Juvenile is at the Joy. Sunday Oshun is at Gasa Gasa. Tuesday The Buttertones will be at Santos Bar.